Beth and Jim Sheridan founded Sheridan Care in 2003. 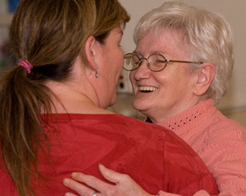 Their vision, enriching the lives of people with dementia through person and relationship-centred care, is pursued in all aspects of care home life - both at Elmsdene and more recently Honeysuckle House, which was acquired in 2007. The owners lead by example and staff are intensively trained to ensure they wholeheartedly adopt the Sheridan Care approach. This ensures all residents feel comfortable, valued and above all fulfilled in whatever they strive to achieve, whilst relatives have the peace of mind that their loved ones are benefiting from the best possible care and surroundings. People-centred care: Facilities are of course important and we are continuously investing in the refurbishment and development of our buildings and infrastructure. But when it comes to caring we focus on feelings not facts which means treating every resident and day care visitor as a whole human being, an individual. It’s about joining every individual in our care in their own “life moments” rather than forcing them, through routines and practices alien to them, to conform to ours. Achieving this demands a strong cultural commitment from all Sheridan Care staff to the principle creation of an environment that respects a person’s past life as well as their present feelings. 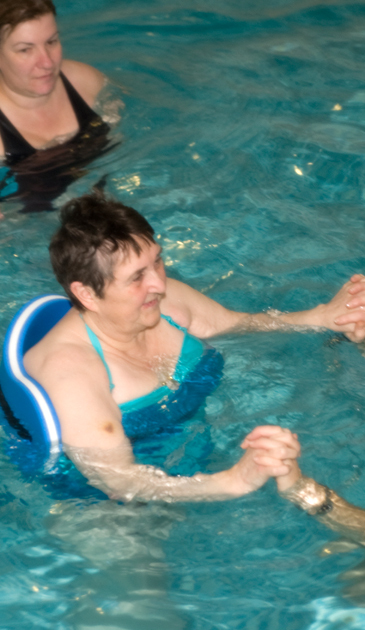 At Sheridan Care we are passionate about what we do, what we believe in, and how people feel. Relationship-centred care: The quality of relationships between residents, staff, friends and relatives is closely linked to quality of life. Every opportunity is therefore taken to engage relatives in the life of the home, for the benefit of all. At Sheridan Care relatives, residents and staff enjoy recreational activities together such as baking, gardening, arts and crafts and outings to local places of interest – giving all the opportunity to relate to each other and enjoy the reassurance, closeness and wellbeing that worthwhile relationships foster.